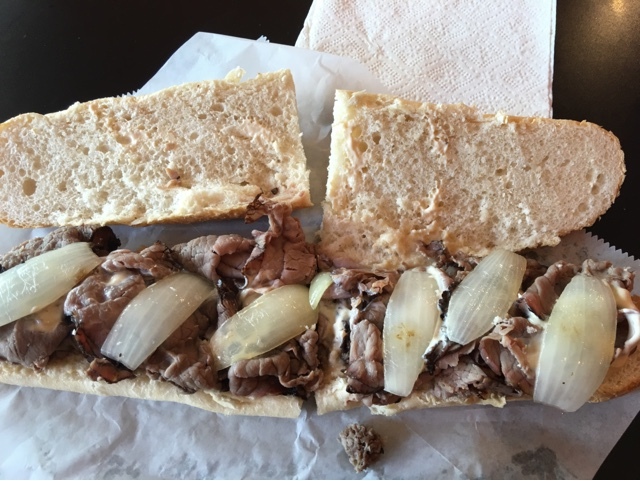 At Sammies, it's all about the hoagie. Eight hoagies on the menu ranging in price from $9-12. Add-ons (more meat or kim chee) for $1-2. That's it. One explanation for the small menu is that the owner operates this as a side biz. 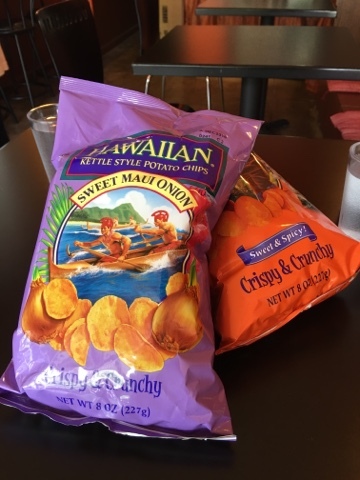 His main business is running a catering business and serving as a personal chef to east oahu residents. That explains why he's only open Monday - Friday, and why he closes early or doesn't open at all every now and then. So before you head down here for a hoagie, check his Instagram page, or better yet, just give him a call. He imports his hoagie rolls from Philadelphia, and he boasts that they are 14 inches. That's a pretty big sandwich for the average bear, therefore you may want to plan on splitting a hoagie with a friend, or saving half for dinner. 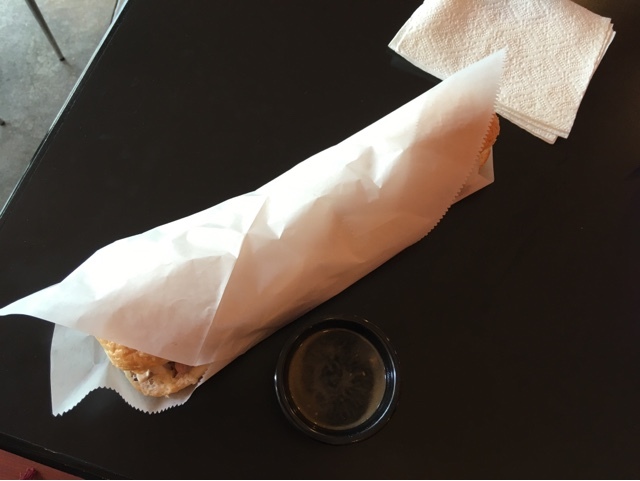 Today I tried the French Dip ($9). 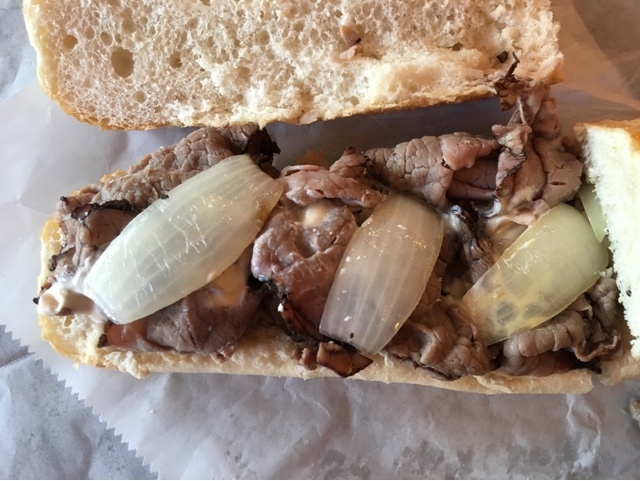 It came with a nice serving of roast beef, smoked provolone, carmalized onions, and crack sauce (which is sour cream based, not mayo-based). He spends a lot of time on each sandwich, making it look very presentable. 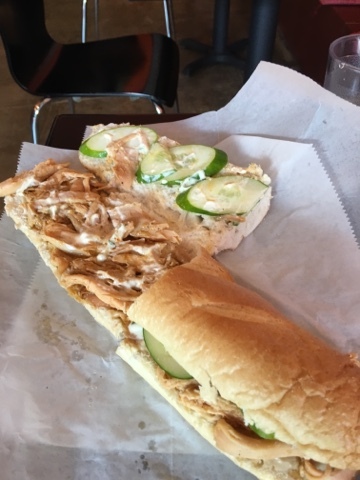 My friend is temporarily abstaining on meat, so he opted for the Beer Chicken hoagie ($10). It is the only hoagie on the 8-item menu that does not contain meat (from 4-legged animals). 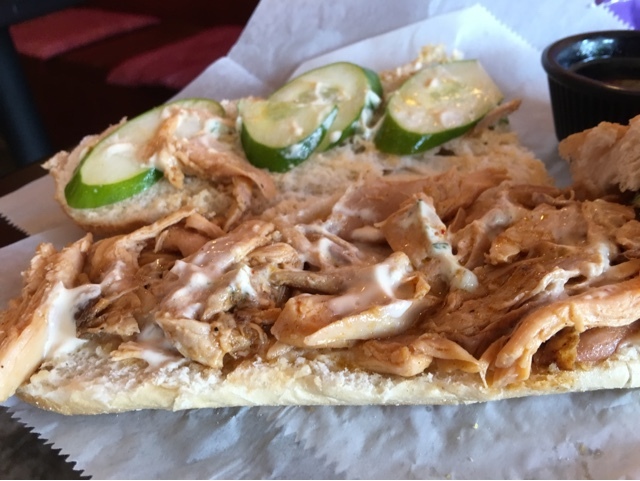 This one came with a generous amount of chicken, provolone cheese, crack sauce, cucumbers, mango pepper sauce and herb aioli. Towards the end he added some spicy sauce. He said it tasted a lot better with the sauce. 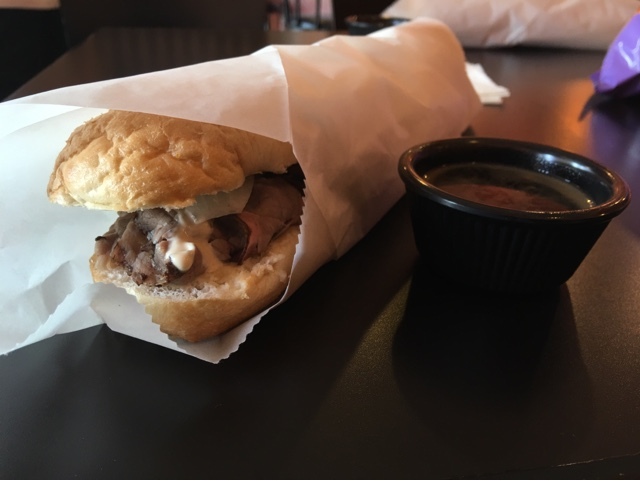 All hoagies come with a house-made au jus that's absolutely delicious. 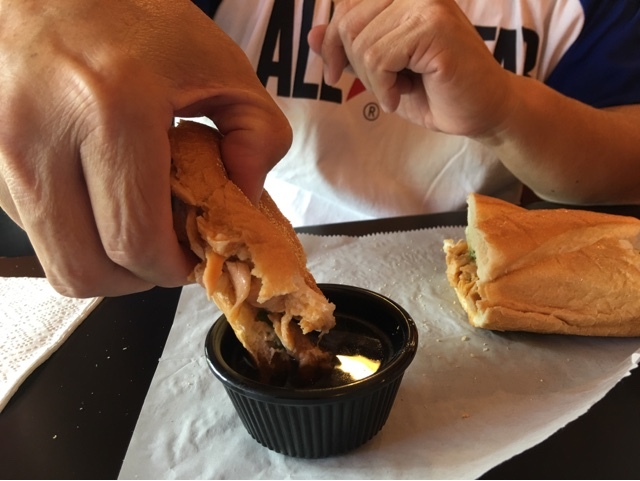 If you take your hoagie to-go, you'll want to be sure Abe gives you a take-out container of au-jus to go with your hoagie. Parking: metered street parking or $2 in the rear off of Liona Street.